Again? Doesn’t he ever stop writing about cats? Welcome back. As you probably noticed, this post is about cats. 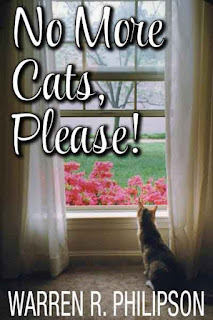 I’ve blogged often about cats and even written an e-book, No More Cats, Please!, which you should definitely read. 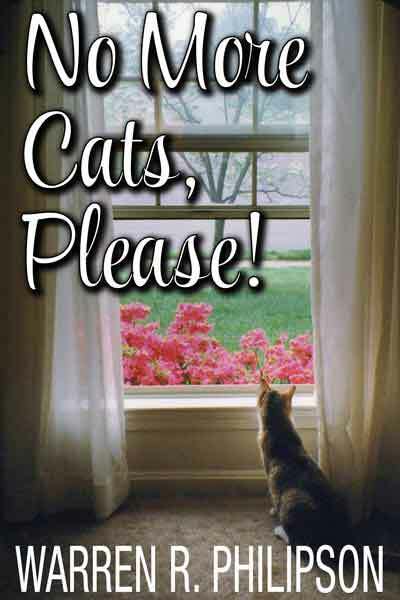 It’s not that I’m a “cat person,” it’s that they were in my line of sight, which allowed me to observe their personalities and behavior. Today, however, it’s all about their tongues. Tongues? Let me guess. You accept that tongues are important to cats--most spend hours using their tongue to groom and clean themselves--yet you fail to see how cats’ tongues are important to you or even interesting. Well, I could start by noting that grooming and cleaning are a multibillion-dollar industry that includes carpet cleaning, human hair care and pet grooming. But I’m going to review work by researchers from Georgia Tech, so I’ll begin with what was known prior to their studies. What Did We Know About Cat Tongues? Unlike a dog’s smooth tongue, cat’s tongues are rough, very rough. They’re covered with tiny papillae, which protrude like scoop-shaped barbs or spines that hook inward toward the throat. Papillae have a major role in grooming both the cat and the cat’s prey. Regarding the latter, the papillae rasp or scrap the meat from the captured prey’s bones. By removing all traces, the cat hides its presence from other prey or predators. For self-grooming, the papillae help to untangle and remove whatever doesn’t belong from the cat’s fur. Unfortunately, much of what’s removed can remain on the tongue and be swallowed, and that includes loose fur, which can collect as hairballs. The Georgia Tech researchers provided insight into the mechanism for how the cat’s tongue and papillae accomplish the grooming tasks. In 2016, they presented the initial results of their investigation. Using macro- and high-speed videography, they studied the shape and flexibility of the papillae during grooming. They also 3-D printed a fur mat and a 400% scale cat-tongue mimic. Overall, they found the tongue is high elastic, and the papillae are Velcro-like hooks that move with the tongue to remove tangles and collect particles. When not in use, the papillae lie overlapped, nearly flat. When the tongue presses against fur and skin, the papillae separate and stick out. When the tongue is lifted away, the papillae come together, wedging particles in between. This elasticity-driven particle entrapment increases the effectiveness of grooming and feeding. A key discovery was that when the cat’s flexible papillae lie back, the entrapped loose fur is easily removed with a single swipe. To pursue the grooming mechanism further for their recent report, the researchers employed high-speed film, grooming-force measurements and computed tomography of the tongues of six cat species, obtained postmortem: a domestic cat, bobcat, cougar, snow leopard, tiger and lion. six cat species, all a height of 2.3±0.2 millimeter. They found the papillae of each were about the same size despite the animals’ size differences. Further, each papilla had a hollow cavity at its tip that spontaneously wicks saliva from the mouth and releases it onto hairs. For optimal grooming, the papillae must reach the skin so the saliva can get to the hair roots. Though this can be a challenge with any long-hair cat, only Persian cats seem to be ungroomable. Getting back to the importance of cats’ tongues, the grooming mechanism could provide inspiration to soft robotics and biologically inspired technologies for sorting, cleaning and depositing fluids into fur and arrays of flexible filaments. The researchers used their findings to develop a “tongue-inspired grooming (TIGR) brush” with 3D-printed papillae embedded in a flexible silicone pad. The TIGR brush tugs less passing through human hair and it’s easier to clean. Who would have thought? Thanks for stopping by.